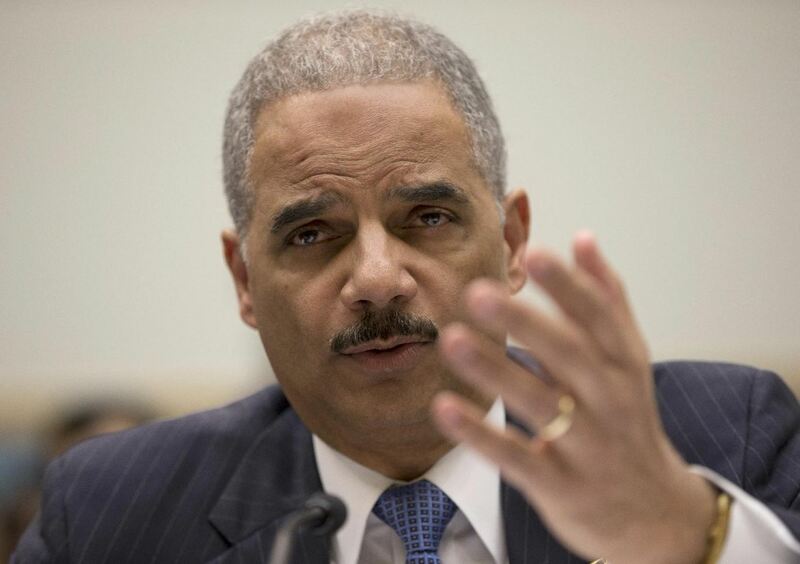 WASHINGTON (AP) — The FBI is investigating potential civil rights violations at the Internal Revenue Service after the agency acknowledged the agency had singled out conservative groups for extra scrutiny, Attorney General Eric Holder said Wednesday. Other potential crimes include making false statements to authorities and violating the Hatch Act, which prohibits federal employees from engaging in some partisan political activities, Holder said. But, Holder said, it will take time to determine if there was criminal wrongdoing. Legal experts, however, said it could be difficult to prove that IRS officials or employees knowingly violated the civil rights of conservative groups. If there is a violation, the experts said, investigators can sometimes prove more easily that officials made false statements or obstructed justice in some other way. Even if IRS agents broke criminal laws in targeting conservative groups, investigators may have to prove they knowingly did it, a high standard, said Brian Galle, a former Justice Department lawyer who teaches law at Boston College. Wednesday’s hearing was the first of several in Congress that will focus on the issue. The House Oversight Committee announced Wednesday that it would hold a hearing May 22, featuring Lois Lerner, the head of the IRS division that oversees tax exempt organizations, and former IRS Commissioner Douglas Shulman, whose five-year term ended in November. The Senate Finance Committee announced a hearing for next Tuesday. The House Ways and Means Committee will hold a hearing Friday, featuring the acting IRS commissioner, Steven Miller, and the Treasury inspector general for tax administration, J. Russell George. At Wednesday’s hearing, Rep. Jim Jordan, R-Ohio, said Lerner misled him and his staff when they asked her about complaints from conservative groups that they were being harassed by the IRS. “I know for a fact, Lois Lerner lied to me, she lied to our personal staff, she lied to committee staff, she lied in correspondence,” Jordan said. Lerner learned about the targeting on June 29, 2011, according to a report Tuesday by the inspector general. The report said ineffective management at the IRS allowed agents to improperly target tea party and other conservative groups for more than 18 months. The report said that while their applications for tax exempt status languished, tea party groups were asked a host of inappropriate questions, including: Who are your donors? What are the political affiliations of officers? What issues are important to the organization, and what are your positions on those issues? Will any officers in the group run for public office? Where do you work? The IRS started targeting groups with “Tea Party,” “Patriots” or “9/12 Project” in their applications for tax exempt status in March 2010, the inspector general’s report said. By August 2010, it was part of the written criteria used to flag groups for additional scrutiny. Colleen M. Kelley, president of the National Treasury Employees Union, said Wednesday that no union employees had been disciplined, as far as she knew. She noted that the IG's report said agents were not motivated by political bias. Kelley told The Associated Press that low-level workers could not have specifically targeted conservative groups for long without the approval of supervisors. However, she noted, there are many levels of supervisors at the IRS. Also Wednesday, the IRS released a list of 179 advocacy groups that had been approved for tax-exempt status as of May 9. The list includes both seemingly conservative and progressive groups, including the Nevada County Tea Party Patriots and Progress Texas. A total of 34 included the words “tea party” in their names. The IRS also pushed back against one aspect of the inspector general’s report. The report said the chief counsel was briefed about conservative groups being targeted on Aug. 4, 2011. The IRS, however, said in a statement that the meeting involved staff attorneys “several layers below” chief counsel William Wilkins. “Wilkins did not learn about specific groups being singled out by name until earlier this year,” the IRS statement said.